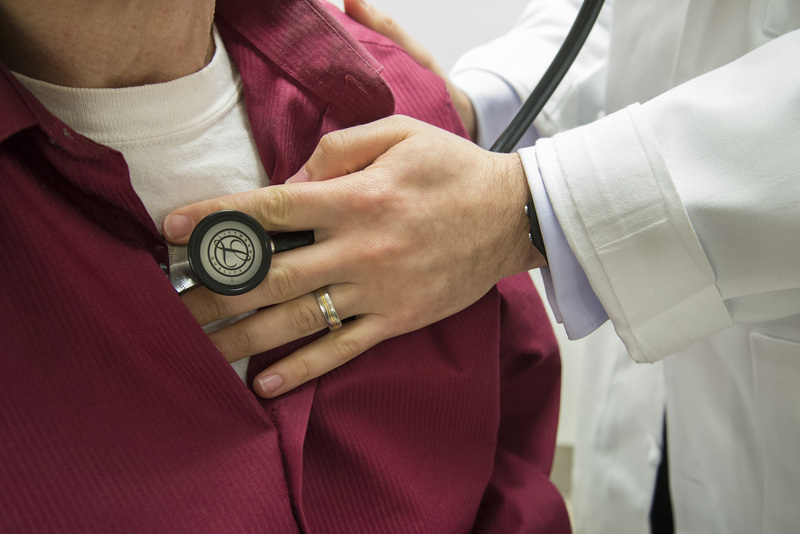 Heart failure is a common problem, especially among older Americans. It occurs when the heart cannot pump blood well enough to meet the body’s needs. This often occurs when the heart muscle is damaged by a heart attack, for example, or when the heart muscle becomes thick and stiff, which often happens when high blood pressure is not controlled. There are more than 7 million people in the United States with heart failure. It is most common in people age 65 and older and also the number one reason older people are hospitalized. "Heart failure kills more people than common cancers," says Dr. Claudius Mahr, a UW clinical associate professor of medicine and medical director of the mechanical circulatory support program. He specializes in heart failure and heart transplantation at UW Medicine Regional Heart Center’s Advanced Heart Failure program. "There is a lack of public awareness about it, which makes management and improving outcomes a challenge. The prognosis for many patients is worse than if they had cancer." Heart attacks, due to coronary artery disease or "hardening of the arteries," are the most common cause for heart failure. Uncontrolled high blood pressure is another common cause. Other causes include faulty heart valves, viral infection of the heart muscle, and damage caused by certain drugs and chemotherapy. Some cases are caused by heart abnormalities people are born with. The swelling associated with heart failure is caused by fluid buildup in the body. It is most noticeable in the ankles, feet and legs. A cough that becomes worse when lying down is another symptom of this fluid buildup, and swelling in the abdomen may also occur. "Unfortunately, the symptoms of heart failure develop late in the disease process," says Mahr. "You have to lose a significant amount of heart function prior to developing these symptoms." While a heart failure diagnosis can be frightening, the good news is researchers and cardiologists have come a long way in their ability to diagnose and treat heart failure. New diagnostic tools, such as three-dimensional echocardiography (3D echo), along with other imagery have advanced to the point where doctors can see a detailed view of the heart, which helps them determine if a patient is suffering from heart failure more accurately than ever before. Treatment for heart failure includes medications, lifestyle changes and, at times, specialized procedures for patients who have advanced heart failure. Treatment doesn’t cure heart failure, but UW Medicine’s research and participation in clinical trials have made it possible to treat the symptoms of heart failure and greatly improve the quality of life for patients. "There have been many advances in caring for incredibly sick patients," explains Mahr. "Improvements in technology make it possible for many advanced heart failure patients to be alive and well years later, which was not possible 10 to 20 years ago."